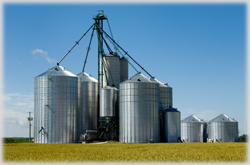 The grain industry today includes corn, soybeans, or wheat from farmers, local grain elevators, larger terminals or end users. End users can include flour mills, breweries, ethanol or alcohol distilleries, food processors and manufacturers, or farmers for animal feed. 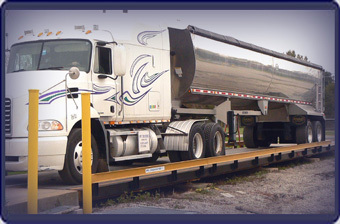 Loadmaster Scale serves the many facets of the grain industry with our full size above ground truck scales, pit type truck scales, and load cell systems that go under hopper scales. In most recent years, grain is often used by bio-fuel processors. As grain is emptied from bins, tanks and silos it is conveyed, blended and weighted into trucks, railroad cars or barges for shipping.